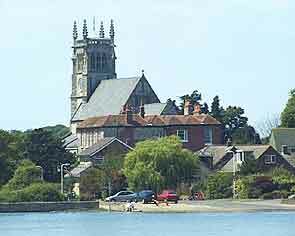 Stoke Lake, or Alver Creek, as it is known to many locals, is actually listed as Stoke Lake on the 1936 Borough map, although whether a area directly fed from the sea qualifies as a lake is questionable. 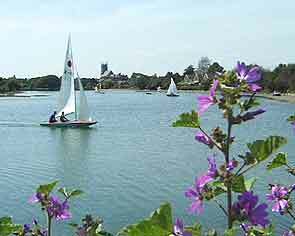 The lake is divided by Jackie Spenser's bridge that used to carry the railway lines to Stokes Bay, and the water intake is governed by a weir, making the portion nearest to St. Mary's Church ideal for young children to practise boating skills, and as such is used by several local bodies such as the scouts, who have their Headquarters on the Clayhall Road side of the Lake, the other side being Little Anglesey road. 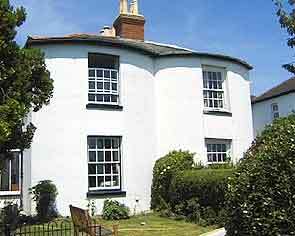 Although the weir provides a safety net to prevent flooding, at very high tides the lake completely covers Little Anglesey Road, and traffic cannot get through, cutting off the charming row of six bow fronted cottages sometimes referred to as the "Curate's cottages" at the bridge end. 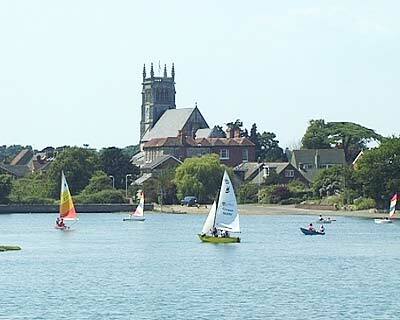 The boats in these pictures belong to St Mary's Junior Sailing Club, performing their sailing prowess on Stoke Lake. 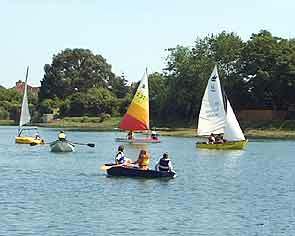 SMJSC has been on this site (Clayhall Road) since 1964 in fact some of their older Mirror dinghies are that old! They have one (Jet) purchased with 994 books of green shield stamps. 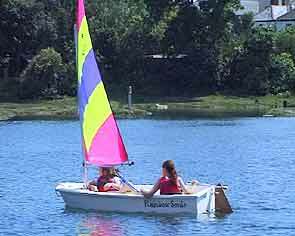 More recently they have purchased an Escape dinghy in joint cooperation with Alverstoke Junior School and a Topper dinghy in liaison with Gomer Junior School. This year the fleet has been further added to with another Topper funded by HMS Sultan and two "Oppies" again in conjunction with Alverstoke Junior School. 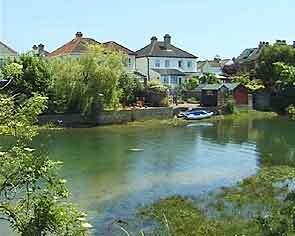 As you cross the bridge, the lake winds around behind the Haven, and some of the houses have waterfront gardens. Clayhall Road can be accessed through this little lane and 100 yards around the corner is the Haslar Naval Cemetery The bridge came to be known as Jacky Spencer's Bridge after the railway employee who had at one time had the task of patrolling the immediate vicinity from a small wooden hut nearby. 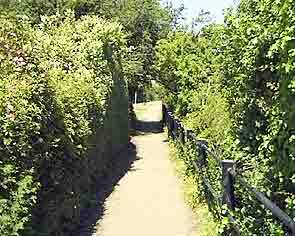 It was reputed the habit of some local residents to steal lumps of chalk which formed the railway embankment. These were used for domestic cleaning purposes. This practice became so widespread that the very stability of the embankment was threatened. Until 1890, Vatican choirboys were castrated to keep their voices from deepening. Gymnastics is the only sport more popular with women than with men.